When a loved one dies, many people have an urgent need to find out what has happened to the person who has gone. Have they ceased to exist or are they living in another world? What kind of world is it? Is it possible to get in touch? Is the feeling of the dead person's continuing presence real or just imagination? 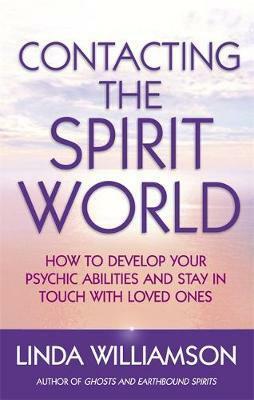 CONTACTING THE SPIRIT WORLD provides the answers, building a strong case for life after death, and shows you how to develop your own powers as a medium. Looks at contact with the dead arising spontaneously through dreams, visions, hearing voices and astral journeys. Contains stories of ordinary people not previously psychic or believers in life after death who undergo extraordinary, life-changing experiences. Linda Williamson draws on her own experiences and those of other mediums, sitters and ordinary people. 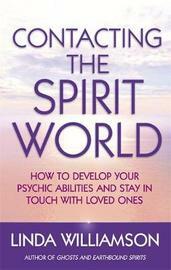 Linda Williamson has worked as a medium and spiritual teacher for 20 years. She has considerable experience working with bereaved parents as well as running training courses and workshops for mediums.